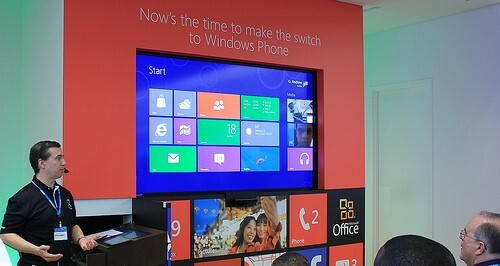 If you've used Windows 8, you surely immediately noticed the tablet feel and set up. You also probably noticed how frustrating it can be watching the screen slide back and forth when you're simply trying to click. The reason for this made sense at first; Windows wanted their new OS to be able to run on different platforms, not just PCs. Though we may end up there in the future, it might have been a bit to early to attempt that feat. If you have a touchscreen monitor for your PC, you at least get to experience the feel Windows 8 is going for. But, even then, it feels counter-intuitive to the rest of the feel of a PC. As they say, when you try to become all things to all people, you tend to become nothing to anyone. The whole tablet feel of the operating system also seems part of an attempt to make the experience more user-friendly. But its more confusing than anything else. I honestly still don't completely understand why a lot of things happen on my Windows 8 laptop PC. The full screen option is too sensitive, I'm constantly putting my browser into full screen mode (meaning no bars or tabs) without meaning to just by slightly touching the trackpad more than I meant to. You can slide between different screens using the touchscreen, but there seems to be no real order in what screen you're going to reach when you swipe one screen away into the next. The operating system doesn't work on most older computers. Many people with still functioning computers purchased in the past few years can't run the OS, and most people like to use their computers until they lose their functionality. Even if you did decide to purchase a new device for the sake of Windows 8, you'd likely end up getting a tablet instead. Its cheaper, plus more and more people are switching to tablets these days because of increased number in wi-fi spots and wireless internet deals. Its far easier to give up on PCs completely than to go out and buy a whole new computer just because yours (which isn't very old) can't keep up to date. Even then, we haven't seen a great number of sales for windows tablets either. So the question remains whether or not PCs will continue to last in the computer world. With technological innovations, you really never know what can happen. Hopefully Microsoft will think of some way to salvage the huge drop in sales. If they don't, what's in store for Microsoft's future? Only time will tell.